The weak employment report for May should eliminate any possibility that the Federal Reserve Board will raise interest rates at its June meeting next week. At least for this purpose, the bad news is good news. But we should still be asking why the Fed has its finger on the trigger in the first place? The Fed should not be so anxious to slow the economy at the first sign that the recovery is on a healthy path. The Fed's anxiousness to raise rates should make the public very concerned. And it is an issue that deserves far more attention than it has been receiving in this election year. First, people should recognize that the May report was seriously bad news about the current state of the labor market. The monthly jobs numbers are always somewhat erratic, but the May report followed a weak April report and included downward revisions to the data for the prior two months. As a result, the 116,000 average rate of job growth for the last three months is only slightly more rapid than is needed to keep pace with the growth of the labor force. 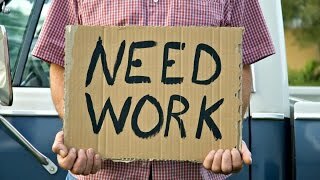 Rather than being good news, the drop in the unemployment rate to 4.7 percent was entirely the result of unemployed workers who gave up looking for jobs and dropped out of the labor force. That is not how we want to get the unemployment rate down. Furthermore, there was a sharp increase in the number of part-time employed people who want full-time employment. Other data in the report, like the percentage of people who are confident enough in their labor market prospects to quit a job without a new job already lined up, are more consistent with a recession than a strong labor market. Given this reality, it is hard to see why the Fed is so anxious to raise interest rates. Remember, the point of raising interest rates is to slow the economy and reduce the pace of job creation. Raising rates is something you do when you think the economy is too strong, not when it is weak. On the one hand, there are inflation hawks who seem to believe that we are on the cusp of another surge of the inflation rate, like we saw in the 1970s. This is a bit hard to understand since almost all the data show that inflation is well-contained and still below the Fed's 2 percent target. Furthermore, it is difficult to take this argument too seriously since the inflation hawks have been making the same argument for the last six years. But as weak as the inflation hawks' case may be, at least it is an understandable argument. The argument that is even more perverse comes from Fed members who say things to the effect that they want to "normalize" interest rates. In this argument, raising interest rates is effectively an end in itself. In prior decades, the Fed generally kept its short-term interest rate in the range of 3 to 6 percent. The argument is that we should want to get the interest rate back into this range so that things will be again be back to normal. But the economy and the labor market is still very far from normal, as the May jobs report reminded us. It doesn't make sense to have an interest rate policy that is consistent with a normal economy at a time when the economy is still badly in need of stimulus and remains far below its potential level of output. This is where the lack of discussion of Federal Reserve board policy in the presidential campaign is so striking. All three of the remaining candidates have made commitments about promoting growth and job creation, but they are not going to be able to get very far if they face a Federal Reserve board that is committed to slowing the economy and reducing the rate of job creation. It is surprising that the Fed's policy has not been a focus of any of the candidates thus far. The president appoints seven of the 12 voting members of the Federal Open Market Committee (FOMC) that determines interest rate policy. (Bernie Sanders has occasionally raised these issues.) The candidates should be talking about the sort of people they would appoint to these slots and what they might do to rein in the members of the FOMC who are effectively appointed by banks. And, if the candidates don't bring up the topic themselves, the media should be asking. The Fed is hugely important is setting economic policy. If we are going to seriously debate economic issues, Fed policy has to be part of that discussion.